Enjoy Aldous Huxley's Books? Tell us Why and Win a Free Book! Welcome to Aldous Huxley's BookGorilla Author Page! We're working hard to bring you the best deals ever on Aldous Huxley's Kindle books. If you’re a Aldous Huxley fan, we'd love to have your help in making this author page special. Tell us, in no more than 150 words, why you think Aldous Huxley is great. Use this webform to send us your submission, and if we select yours we'll offer you one of Aldous Huxley's books or a Kindle Gift Card as a free gift! Thanks! Please enter your email address and click the Follow button to follow Aldous Huxley! Limbo (1920), Aldous Huxley's first collection of short fiction, consists of six short stories and a play. "Farcical History of Richard Greenow" "Happily Ever After" "Eupompus Gave Splendour to Art by Numbers" "Happy Families" (play) "Cynthia" "The Bookshop" "The Death of Lully"
A collection of poems first published in 1918. In Shakespeare's powerful drama of destiny and revenge, Hamlet, the troubled prince of Denmark, must overcome his own self-doubt and avenge the murder of his father. This study guides to one of Shakespeare's greatest plays. It contains a selection of contemporary criticism of Hamlet. 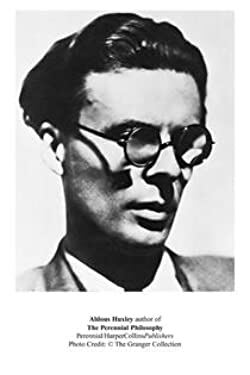 Mortal Coils is a collection of five short fictional pieces written by Aldous Huxley in 1922. 'Bloom's Guides' are the successors to 'Bloom's Notes' & 'Bloom's Reviews'. They provide comprehensive reading & study guidance with a selection of critical excerpts from each subject text, a biographical sketch of the author, character lists & analysis. Aldous Huxley's first collection of short fiction, consists of six short stories and a play. Includes: "Farcical History of Richard Greenow" "Happily Ever After" "Eupompus Gave Splendour to Art by Numbers" "Happy Families" (play) "Cynthia" "The Bookshop" "The Death of Lully"